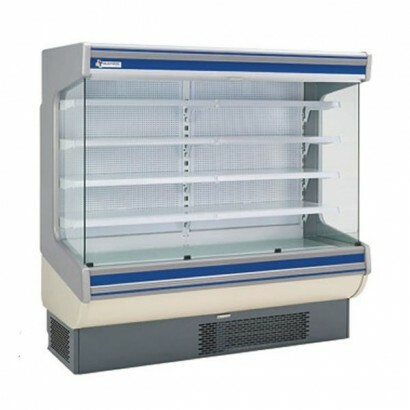 This range of meat temperature multidecks is specifically designed for the display and merchandise of fresh meat. Guidelines for the safe storage of meat give a temperature range of -2 /+2°C. These meat multidecks all operate within this range so you can be assured that your products comply with food safety regulations. 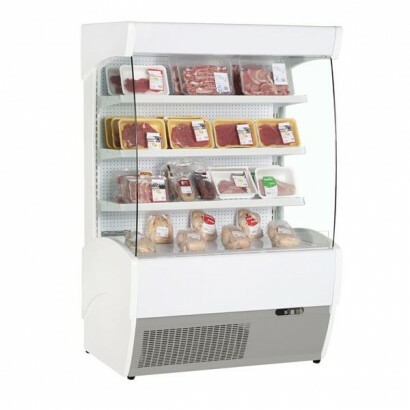 With all the great features of a normal multideck but with a temperature range ideal for the safe holding of meat products, these units are the choice of butchers, delicatessens and supermarkets wanting to sell fresh packed meat. 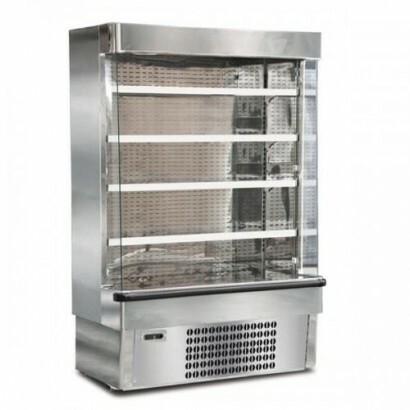 Designed for the display of fresh meat, the Jolly SL7M tiered display is an open fronted chilled cab..
With a temperature range designed for the display of fresh meat the Mondial Elite Jolly open fronted..
A popular 1.0m fresh meat multideck finished in polished stainless steel. The unit is ideal fo.. 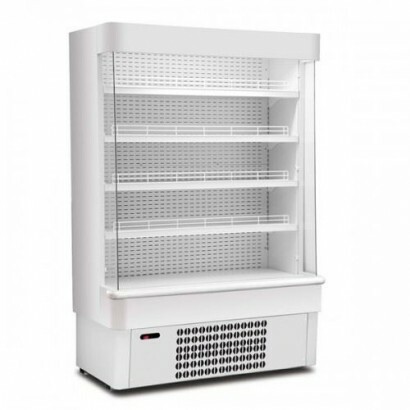 Suitable for the retail of fresh meat, this compact 0.6m wide open deck chiller is ideal for full he..
Mafirol Helios multideck for the display of fresh meat. Fan assisted with excellent internal lightin..
Prodis Quebec Q30V is a large 1.3m fan assisted serve over counter ideal for the retail of fresh mea.. 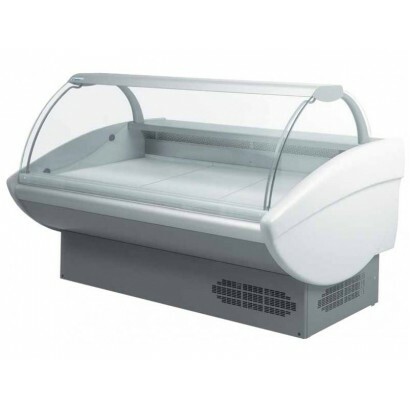 The Jolly SLX14M is a 1.3m open deck chiller finished in stylish polished stainless steel. Ideal for.. The Frilixa Marao II 100 multideck for fresh meat is fully automatic with fan assisted cooling and c.. The Frilixa Marao II 120 multideck for fresh meat is fully automatic with fan assisted cooling and c..
Prodis Quebec Q15V is a large 1.6m fan assisted serve over counter ideal for the retail of fresh mea.. Fan assisted with excellent internal lighting, four adjustable shelves and choice of coloured trim. ..
Prodis Quebec Q18V is a large 1.9m fan assisted serve over counter ideal for the retail of fresh mea..
A fantastic 1.9m stainless steel chilled display great for boosting your impulse sales. The unit com.. The Frilixa Marao II 150 multideck for fresh meat is fully automatic with fan assisted cooling and c.. The Frilixa Marao II 200 multideck for fresh meat is fully automatic with fan assisted cooling and c..
Prodis Quebec Q24V is a large 2.5m fan assisted serve over counter ideal for the retail of fresh mea..
Prodis Quebec Q30V is a large 3.1m fan assisted serve over counter ideal for the retail of fresh mea.. The Frilixa Marao II 250 multideck for fresh meat is fully automatic with fan assisted cooling and c..